In recent months a lot of the dirty “secrets” of society have been bubbling up to the surface. Though, in fairness, these have really only been “secrets” to people privileged enough to be able to ignore them. Racism and sexism have been blatantly supported by some of our country’s supposed leaders. Institutional racism, sexism, able-ism has been caught on video and shared throughout the world. People of differing faiths have been demonized and threatened to be put on a national registry. Countries of plenty have been closing tight fists around their lands and resources, under the unreasonable belief that there simply isn’t enough to go around. Immigrants are being dehumanized. Refugees are being refused safe harbor. People are being shot and killed. LGBTQ individuals are being targeted and hunted down. Victimized people are choosing to respond with more violence and hate. 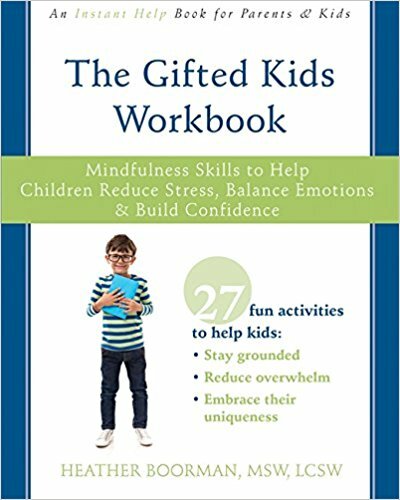 For people with emotionally intense personalities (many gifted people), these bubblings can feel extremely overwhelming. Anxiety and fear and sadness and anger and helplessness are felt by many people, but for emotionally intense children and adults, these feelings are multiplied and intensified. Emotionally intense people not only feel things more intensely, but they also tend to be extremely empathetic. They literally put themselves in the shoes and feelings of all the people who are being hurt and harmed. And when there are so many people being hurt and harmed, many of our brightest, most empathetic minds simply shut down from overload. The empathy becomes paralyzing. Now, obviously, this paralysis is simply not helpful. To anyone. Paralysis does not help to end racism. Paralysis does not help to empower women. Paralysis does not help to create sanctuary for our world’s poorest. Paralysis does not help unite with people who are different from ourselves. Paralysis does not help end violence or hate. Paralysis simply does not help. Our brightest and most caring minds need to care, but not too much. The trick is to care enough, but just enough. We need to examine our own passions and decide what we, individually, are impassioned to fight for. It is ok to choose one issue and throw all your passion and power into fighting against that evil. In fact, it is necessary to choose just one. And then we have to trust that other people are out there choosing the other injustices to fight against. It is ok to notice some injustices and choose to devote your attention somewhere else. We humans simply cannot give our all to everything. We have to choose. And that is ok. I give you permission to care deeply about one of the “secrets” and do what you can to advocate for change. I give you permission to notice the other “secrets” and let someone else do what they can to advocate for change. Now, of course, I’m not advocating for perpetuating the hatreds. I will teach my children to be respectful and accepting of everyone, regardless of who they love or their gender, skin color, country of origin, abilities, etc. But, I cannot be at every rally or write my congress people about everything. I will be much more effective if I choose my area of advocacy, and throw all my intense passion into it. I will be much more effective if I choose to care just enough.